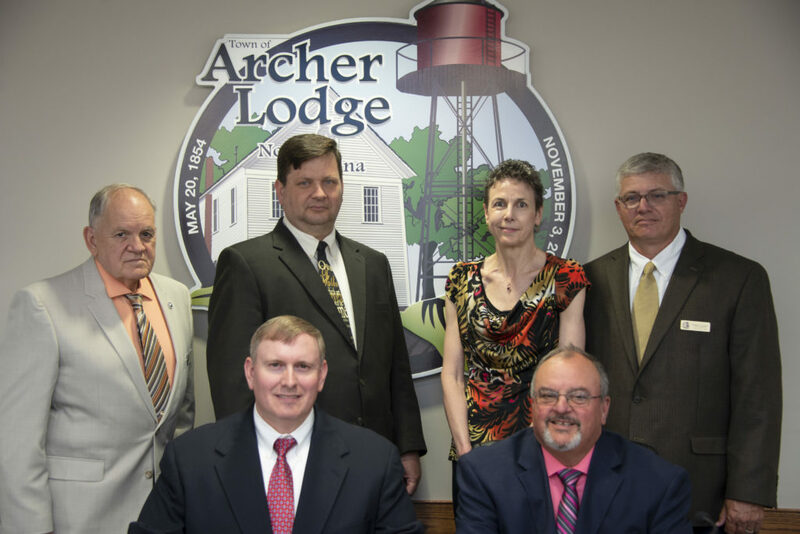 The governing body of the Town of Archer Lodge is the Mayor and Town Council. The Town Council is comprised of 5 members, one of which is elected by the Town Council to serve as the Mayor Pro Tem. Council Members serve four year terms. The Town Council meets for a regular meeting on the first Monday of every month at 6:30 p.m. and work sessions are held on the third Monday of every month at 6:30 p.m.
All meetings of the Council are open meetings and citizens are welcome to attend. The Council holds a public comment session at each regular meeting, where citizens may readily address non-agenda items with the Town Council.